Drip, drip, drop little April showers! 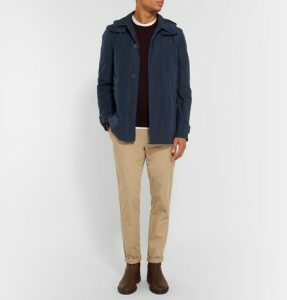 If you’re venturing outside of your man cave this spring, there are plenty of great looking ways to stay dry and look impeccable. Whether you’re braving a downpour during your daily commute, or heading off on a soggy adventure, the Barrington’s gents have rounded up five of their favourite raincoats for men this 2017, which effortlessly blend style, practicality and performance (just like our single watch winders!). Insanely lightweight and packable, but so much more on trend than the classic “kag in a bag”, this exceptionally good-looking, snorkel-hooded jacket is soft to the touch, waterproof, durable and provides an extra layer of wind-breaking warmth in temperatures as low as -5°. As impressive on windswept mountainsides as it is stylish on city streets. A classic staple that will stand you in good stead for many showery springs and summers to come, this Burberry beauty features a removable lining for temperature variation and a detachable hood. 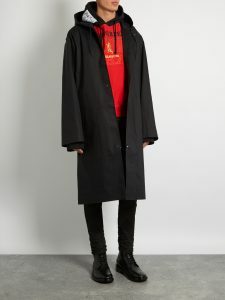 This collaboration between classic Scottish raincoat connoisseurs Mackintosh and contemporary fashion mavens Vetements has resulted in some seriously on-trend springtime outerwear. We want one, now. Feeling adventurous? 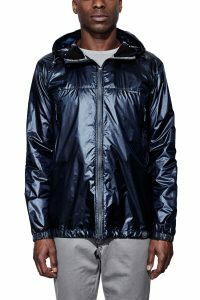 Rains make some extremely solid raincoats at pleasingly affordable prices, with style hard-wired in the DNA. To be a bit daring this spring, opt for an on trend pastel pink option (their mustard yellow shade is also a great pick). 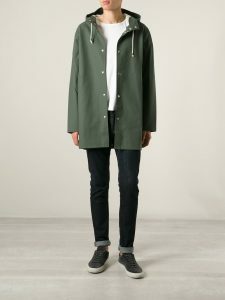 All of Stutterheim’s raincoats are extremely solid choices for gents looking for both functionality and fashion from their spingtime outerwear, but their Stockholm raincoat has to be one of our favourites. 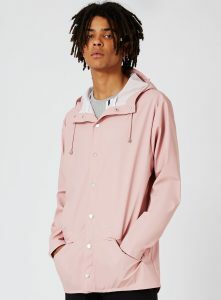 Sleek, beautifully designed and just trendy enough without looking faddy, this is a raincoat we want in our April wardrobe. 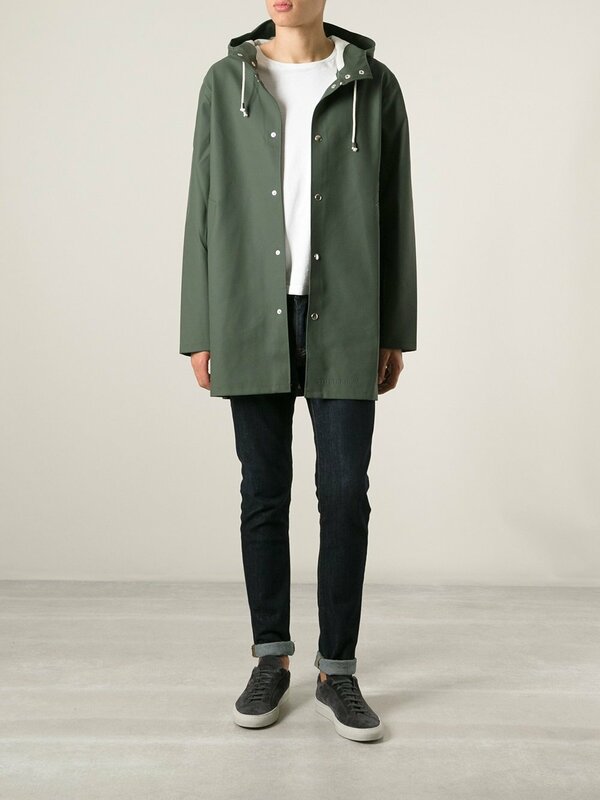 Which is your favourite Stetterheim raincoat? Do you prefer traditional shades or do you like a raincoat with a colour pop? Share your favourites and your reviews with other readers below.